The Tempest was Pontiac’s intermediate-size A-body car. Introduced in 1960 as a compact unibody design, the Tempest was substantially redesigned for 1964, when it became larger and more powerful. The new Tempest featured a traditional body-on-frame design, departing from the unusual rear transaxle design of earlier Tempests. The 1964 Tempest was available as a two-door hardtop, a convertible, or a four-door sedan or station wagon. In 1965, a two-door hardtop was added, and in 1966, a four-door hardtop joined the lineup. All body styles were maintained in 1967. The 1964 Tempest was a handsome car and easily recognizable today due to its strong 1960s lines and signature front end. In 1965, Pontiac stacked the Tempest’s headlights, and in the 1966 and 1967 Tempest, Pontiac’s trademark two-sided grille became more prominent. The Tempest was available in two trims, with base models equipped with small hubcaps, rubber mats, and less body trim. Customs received carpet and more chrome all over, mainly obvious on the beltline of the car. V-8 Tempests received fender badges noting the engine option. The base engine for the 1964 and 1965 Tempest was a 215-cid inline six-cylinder engine at 140 hp, with the optional Pontiac 326-cid V-8 at 250 or 280 hp depending on carburetion. Power output on the 326 rose to a maximum of 285 hp for 1965. In 1966, the base engine was changed to an overhead cam 230-cid inline six-cylinder at 165 hp, with an optional carburetor upgrade to 207 hp. The carburetor option on the six-cylinder was raised to 215 hp in 1967. The 326 V-8 remained constant at 250 or 285 hp, depending on carburetion. Transmission options available on the 1964 Tempest were a base three-speed column-shift manual, a four-on-the-floor manual, or a two-speed automatic. A Turbo-Hydramatic option was added in 1965 and continued through the era. 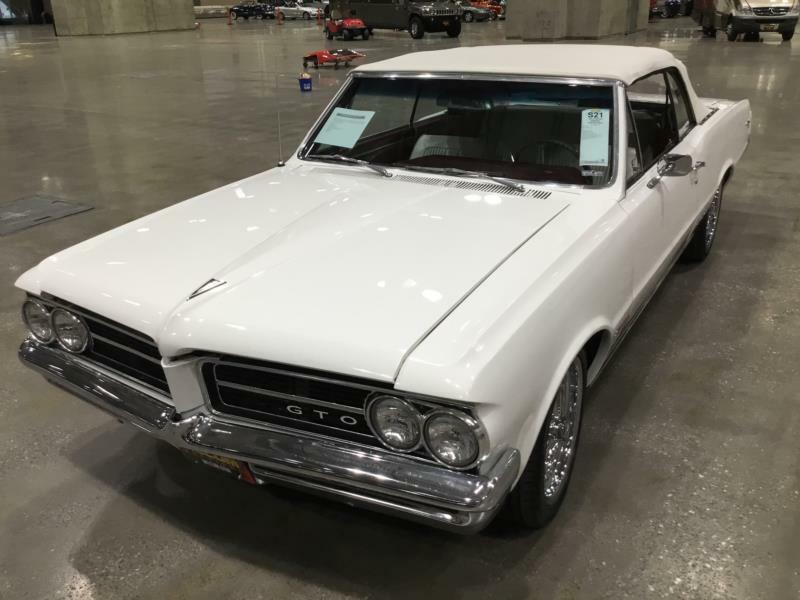 While LeMans and GTOs of this era are more iconic, the Pontiac Tempest captures a lot of the same experience at a more affordable price. The car’s looks are comparable to its more famous siblings, and it can still be equipped with a reasonably powerful V-8 engine and a four-speed manual transmission. Rust is a common issue, as it is with most old cars, but production was plentiful so good examples are not difficult to locate.